Inbound marketing is hot these days (though I’m still surprised by how many traditional marketers and executives know little to nothing about it). 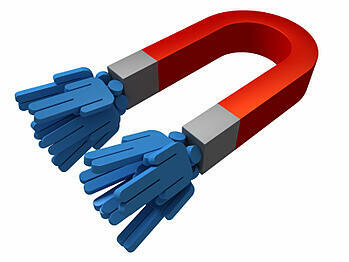 The promise of inbound – let your prospects find you – is a powerful one. The challenge comes when inbound marketing is viewed as a quick fix or easy approach. Inbound is powerful – probably the most powerful form of marketing and lead generation small and mid-market companies have ever been able to execute, but it is neither easy nor a quick fix (of course, what really is?). I recently wrote a post for HubSpot’s blog highlighting The 3 Reasons Why Your Inbound Marketing Efforts Are Failing. Success requires clear intent, focus and a discipline. If you’re thinking of jumping on the inbound marketing bandwagon (or if you’re already on it and want to make sure you’re getting the best results you can), start by answering these 5 questions. 1) What Results Are You Looking to Achieve? It’s not enough to say we want to increase sales or revenue. You must be specific. Do you need more leads? How many more? Are you looking to improve lead conversion or sales conversion rates? Again, by how much? Is the goal decreasing the cost per lead? The cost of customer acquisition? There are literally hundreds of goals you could have that would be effectively impacted by inbound marketing. You need to be specific, and understand that the more results you are attempting to impact, the greater the effort (and investment) that’s needed for success. The toughest lesson I’ve learned in sales is that customers buy on their time, not yours. Inbound marketing can sync your efforts to their timeframes, and can even speed up the sales cycle, but it won’t fundamentally alter it. The typical buying cycle for your customers. If you're in a position where you need new revenue within 90 - 120 days, don't look to inbound as your solution. You'll need to find another tactic to support that effort. Though, I'd highly advise you implement inbound so that next year you're not in a position where you find yourself desperate for new revenue opportunities. You must be prepared to invest a solid year to reap the benefits of inbound. You’ll typically start seeing measurable results within about six months of execution. Patience (backed by measurement and data) are critical to success. Just last week a friend asked me to talk to one of his clients about how to start an effective lead nurturing program. Right away the person started asking me about marketing automation software, how often they should email, whether images helped or not, and so on. They were frustrated when I told them they were asking the wrong questions. Before any of those questions could be answered, they needed to figure who they were trying to connect with. I tried talking about the importance of defining buyer personas and customizing their content and approach to those personas. Unfortunately, they “didn’t want to wait.” They wanted to jump right to execution, and their end result is likely failure. Inbound requires the combination of several skills and talents. You must decide whether you are going to execute the process in house, engage a firm to support execution or combine the two. Obviously, we’re fans of the outsourcing approach as it provides many advantages and typically has a lower total cost, and higher probably of success. Whether you hire a firm or not, make sure there is clear accountability to the goals you’ve laid out. I’ve heard a lot of marketing consultants say, “software doesn’t matter.” They claim that it’s about content and focus, not software. As I’ve shared before, strategy and content are critical to success, but so is the platform you use. There are hundreds of options to implement, and the platform you choose will have a direct impact on the time it takes to implement and the likelihood of sticking to the process. We execute through HubSpot and rather than going on about the virtues of HubSpot, read Eileen Lonergan’s implementing what HubSpot is capable of without using it.